We are a strong, independent, democratic union of public educators protecting and improving our industrial and professional rights and promoting quality public education for all. Protecting and improving our industrial and professional rights. Promoting high quality public education for all. Ensuring the current and long term interests of our members are at the centre of everything we do. We are the industrial and professional voice of the Western Australian public school teaching profession. The SSTUWA gives members a strong voice in the workplace and within the community. We do this by assisting them to gain better pay, improved living standards, safe working environments and employment security through collective bargaining and strength in the workplace. We also advocate for the teaching profession and public education, provide development opportunities for members and campaign for improved opportunities for WA public school students. For over a hundred years teachers, school administrators and lecturers in WA government schools and TAFE colleges have joined together to look after the interests of members and to promote public education. Members of the SSTUWA have played a key role in working to secure an education system which is as good as any in the world. Our members work hard to ensure their students are taught well and with care and compassion. Western Australia's teachers will continue to fight to improve this system for our all our children. 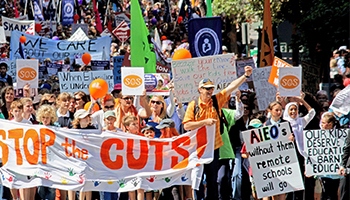 Teachers' union members in Western Australia have increasingly become involved in national education issues through the Australian Education Union. All SSTUWA members are members of the Australian Education Union WA Branch and share in the values and ideals of the national body. Western Australian teacher unionists play an important role in the national body. 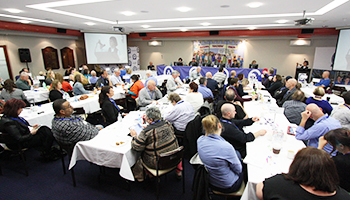 Local branch members, District and State Council Delegates and Executive members play an increasing role in the national union and WA benefits from involvement in working parties, training and campaigns. This website has been provided in order to provide a means of communication, not only for its members but society as a whole, as education is an important issue in a progressive, safe and secure society. Feel free to browse the public areas and information available on this site. Members, please register to enjoy the features and resources available in the member only area. Throughout history workers have banded together to build an organisation that empowers them by providing them with a voice, influence and therefore power in the workplace and beyond; this organisation is known as the union. Unions are an essential part of today's workplaces. They provide the individual worker with the structures, the forums, and the organisation which facilitate their ability to meet, to raise issues, to debate and develop agreed policies and solutions. Most importantly of all a union provides the avenue for individuals to work together and move these policies and solutions into action. Without a union, as workers we stand alone. With a union we stand together empowered by being united. A union is built on its members. The strength, wisdom and unity of members determine the union's directions and actions. In the 21st Century unions must deal with a much wider range of issues than those traditionally seen as their business. Pay and conditions are no less important but they are now part of a more complex and difficult social; financial, legal and political environment where the power and influence of multinational financial, industrial and political forces is immense. Unions have become one of the few major and powerful national and international institutions which work for social justice and equity. In 1898 what is now the SSTUWA began its life with 50 members. Since that time the union has played a leadership role in unionism and in education in this state. The union’s rules state that it must watch over and protect the interests of its members, and that it must promote education. These first two objects of the union make clear that it combines a commitment to ensuring industrial control over the working conditions and rights of members with a broader commitment to be fully involved in the professional rights and interests of members as well as in matters of social justice and equity in which education plays a central role. The SSTUWA is as strong as its members. Through the collective strength and wisdom of members we can be powerful and influential in the community. Through our democratic processes at branch, district council, Executive and State Council we can ensure that our decision making and our action is inclusive, representative and powerful. The SSTUWA has a commitment to a strong public education system which provides every child with the right to a quality education. Our commitment to social justice and equity demands a fair go for every child and young person. Ultimately our ability as educators to ensure those rights depends on our collective strength in the industrial and professional arenas. It is that collective strength which can ensure our rights as educators are respected, our wisdom valued and our experience central to all decisions on education matters. Membership, active and involved membership, is the only way to ensure that collective strength. Members shall acknowledge the authority and responsibility of the Union. Members shall support and assist in raising the standard of the teaching profession. Members shall be loyal to other members and refrain from discussing other members in the hearing of the public. Members should not seek to compare themselves publicly with other teachers to their own advantage. Members shall not falsely, maliciously or recklessly injure or attempt to injure, whether directly or indirectly, the professional reputation or prospects of another member. Members shall issue public statements only in an objective and truthful manner and shall not issue anonymous public statements. Members shall show due consideration for their successors. Members shall zealously guard their civil rights and those of the students in their schools. Members shall guide their students to attain the highest possible level of academic, social moral and physical achievement. Members shall deal justly, respectfully and reasonably with students. Members shall exercise discretion in dealing with confidential matters relating to students and their parents. Executive members shall act as exemplars for all members in their adherence to the Code of Ethics. The SSTUWA is the only organisation recognised to represent the industrial and professional interests of educators in WA public schools and TAFEs. With members’ participation, the union negotiates your salaries, entitlements and conditions and is a strong voice in the workplace and community. Getting Organised is a one-stop shop for existing branch representatives and for members wishing to form a new branch or become more involved in union activities. 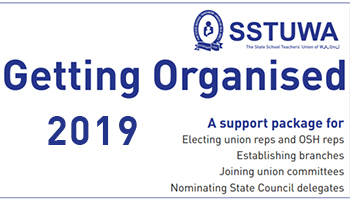 Getting Organised also contains the rules and information required to successfully continue or establish branch operations, and to nominate for State Council and SSTUWA committees. The State School Teachers' Union of W.A. (Inc.) Executive Committee is a democratically elected body which represents teachers, school leaders, lecturers and school psychologists from kindergartens, primary schools, high schools, education support centres and TAFEs.